Minecraft is unique in a great number of ways—and you’ve probably already heard about all the reasons why your child playing it can be very educational. However, one of the qualities you might not know about Minecraft that makes it unique in the gaming realm is it’s a rather genderless space. This is fantastic! But maybe you still have some doubts. Is Minecraft really okay for your daughter/niece/granddaughter? Yes. A thousand times, yes. One of the best ways to introduce girls to STEM subjects is by providing a character they can identify with (as this 12-year-old fantastically pointed out). For most of Minecraft’s existence, this was arguably the one area in which it fell short. The default and only option for Minecraft players for many years was a character named Steve. However, to the developer’s credit, they were attempting to create a genderless world from the start, as one of the lead developers Markus Persson wrote on his blog. Now, with a recent update, current Minecraft developers have heard the requests for better representation of their playerbase. Players can choose from one of many different “skins” as the player appearance choices are called. One of these skins is Alex, a character with thinner arms, longer hair, and no five o’clock shadow—Minecraft’s first female character. The best part? She plays exactly the same way that Steve does, meaning girls not only feel represented in the game they know and love, but they don’t lose or gain any attributes or stats that may have caused feelings of gender inequality. So Minecraft is not only educational, but also pays attention to its players’ desires, and is willing to make changes to honor all who decide to venture into that blocky world? Right on. The genderless world of Minecraft is a remarkable opportunity for your daughter to play and explore in a fun, block-filled setting that's full of potential. It’s a world where she can be a creator, a builder, a fighter, a farmer, or anything else she wants to be. Additionally, building in Minecraft is excellent practice for visuospatial skills, which are directly applicable to dozens of tech-focused careers. “Visuospatial skills are a big part of nonverbal intelligence, and a building block for more complex skills. Along with verbal and quantitative abilities, visuospatial skills are one of the most important factors related to learning and work success,” says Rey, a tech-savvy mom with a blog post about Minecraft. In addition to visuospatial skills, Minecraft is a highly engaging way for girls to approach coding. Within the game, players can “mod” (short for “modification”), which means they can change many aspects of the game by going “under the hood” and manipulating the code. Not only is this an excellent way to encourage creativity and problem-solving, but it’s also the perfect way to get your daughter excited about coding. Early exposure and encouragement to dive into tech can go a long way towards challenging the messages girls receive that such subjects belong to boys. As of 2015, women received more than half of all Bachelor’s degrees in the biological sciences, yet only 18% of Computer Science degrees, according to the National Girls Collaborative Project. Introducing girls to computer science skills and programming when they’re young shapes their opinions of those subjects in a positive way, meaning they’re more likely to pursue those degrees in the future. And, if asked "do girls play video games," answer with a resounding "Yes" with additional reassurance that her participation is welcome, and needed. Want to make sure the young tech hopeful in your life is maximizing her Minecraft time? Sign her up for camp! 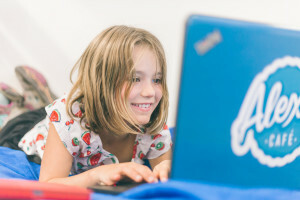 At iD Tech, we not only love Minecraft, but we firmly believe in filling the STEM gender gap, not to mention balancing the tech and outdoor fun. Summer isn’t over yet, so find a location and Minecraft game design or coding course near you now!